Do You Have a Real Estate Agent to Represent your Best Interests? If you’re planning on buying a home, you may have already done some shopping around on your own. Perhaps you’ve checked out a few open houses or called the number on a “For Sale” sign to schedule a private viewing of that property. Yes, you can do all of that on your own, if you have the time and expertise. However, statistics prove that you’ll be more successful in finding your dream home more quickly and at the right price with your own personal real estate agent. It is essential when you are searching for a new home that you have an agent that knows our market well and can help you readily identify possible properties for you. Takes the time to understand your needs and goals, so you have a true partner during your home buying experience. Has the expertise and track record of success in the Triangle Area. Knows how to locate great properties in your price range. 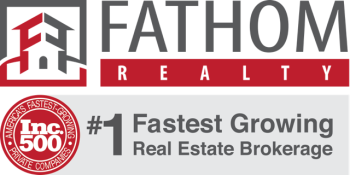 Will quickly alert you to new listings, so you get the jump on those opportunities. Will ensure that you do not overpay for the property you want by providing you with comparable sales. Not every real estate agent offers these services, but my clients can attest that I have for over twenty years. The best way to select the right real estate agent for you, is to meet with him or her in person, ask questions, and see if there is a good fit. To schedule an appointment with me, please call or email. Or, if it’s more convenient for you, submit the form below and I’ll get back to you.